No one can match our prices, quality and service - Period. Full Waranty Our expert service is always Guaranteed! Click here to print out our coupons! Get the fairest price you’ll find right here at The Fort Lauderdale Transmission Repair Shop. Bring in any estimate and we will beat it! How we use your transmission’s Power Control Module. In the old days cars used hydromechanical controls in the transmission but in last last 30+ years cars have been transformed to using electronic controls. The switch to electronic automatic transmission control development which uses Transmission Solenoids is now the norm for cars and trucks on Fort Lauderdale’s roads today. 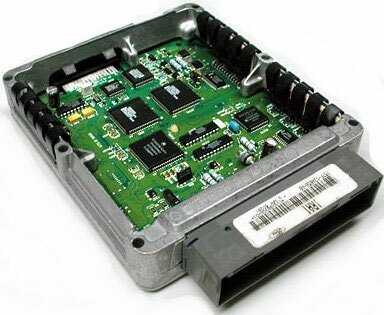 When you bring in your car or truck to Fort Lauderdale Transmission Repair Shop we check your TCU or transmission control unit for any codes that have been put into the module's memory if the vehicle is having problems. This is the second step in effectively diagnosing any problems your vehicle has and so we can verify what our road test reveals. It also gives us an accurate and more in depth assessment of all the issues involved with a possible repair. The TCU uses sensors from around the car and transmission which in conjunction with the ECU or Engine Control Unit, which calculates the gear functionality within the transmission, can precisely evaluate where the transmission if failing. The entire unit that houses the TCU and ECU is called the PCM or Powertrain Control Module. The PCM is the brain center of the vehicle that can diagnose or detect hundreds of factors in the engine control system that lead to powertrain failure. Bring your car into our transmission repair shop for a free diagnosis so you can get your transmission repaired sooner rather than later to avoid more costly repairs. Ask about our full warranties on repairs. Fort Lauderdale Transmission Repair is your one stop shop for all your transmission repair needs. Our ASE certified auto technicians are reliable, experienced, and prepared to show you why we are South Florida’s best transmission repair shop. We provide expedited transmission service, quality workmanship and we take good care of our loyal customers. We are a proud member of ATRA (Automatic Transmission Rebuilders Association). We are also members of ATSG (Automatic Transmission Service Group).